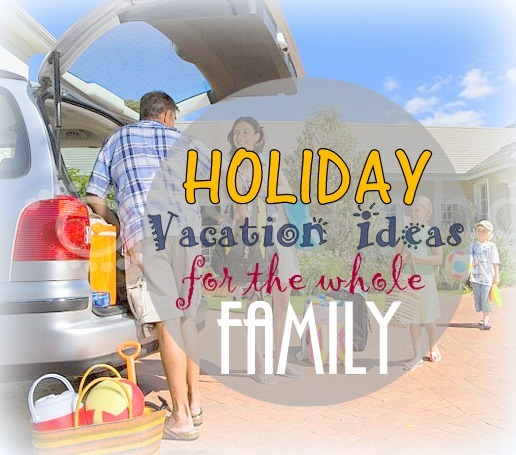 While it's natural for larger families to come together for the holidays, what about people that just want to get away from everything and have some time to themselves? This guide aims to help those people out by pointing out some of the most interesting places to take a family for the holidays. Although these places are singled out for their fun and exciting locales, they also happen to be places that aren't terribly expensive either, ensuring that a variety of families can enjoy the activities that they have to offer. Although an island resort might sound like something reserved for only the wealthiest one percent, the truth is that there are plenty of resorts out there that are affordably priced. Places like Marriott Singer Island are great for families that are looking for a cheap and exciting place to visit for the holidays. Although visiting an island is exciting in and of itself, there's just something magical about visiting an island that also doubles as a resort. If you've been stressed out with the upcoming holidays, then it might be time to treat yourself. For those that like to mix a little education in with their relaxation, a historical retreat might be worth considering. By picking out a holiday destination that also happens to be packed with historical museums and living history experiences, you can help your family learn something while they are having fun. If you've ever wanted to take your family to a museum, but never had the opportunity, then consider doing so while on vacation. Changing gears slightly, a mountain getaway might be the best choice for families that crave an alternative to the more traditional beach fare. If you're someone that enjoys skiing, or simply wants to have a "true" holiday experience with snow and cold weather, then a mountain getaway might be the right decision for you. Although this list is by no means exhaustive, it should give you a few ideas for prospective destinations to take your family. Regardless of where you choose to spend your holidays though, the most important thing is that you do it as a family and spend time with the people you truly care about in your life.